Learn more about the home insurance we provide. Mike at Mustard Seed does my insurance--I highly recommend him! I could not be more pleased with the customer service I've received from him, and the extra mile this company goes for its clients. Stop talking to some dude in India and call this company instead. Omg Debbie is amazing. She is very quick and always polite. So helpful with what's probably silly questions but never judges me. Beat all the competitors quotes saved me over $100. EXCELLENT agency, and they have some extremely experienced agents. I highly recommend them. We have done work for them through my company, and it has always been a positive experience for all involved, they treat people right! Thanks! Jess @ SERVPRO. Mike Williams reduced my rates for auto, home and umbrella insurance by 15% with significantly better coverage. I was very pleased with his services. I would recommend giving him a chance to quote you some insurance. Can't go wrong with better coverage at a reduced cost! 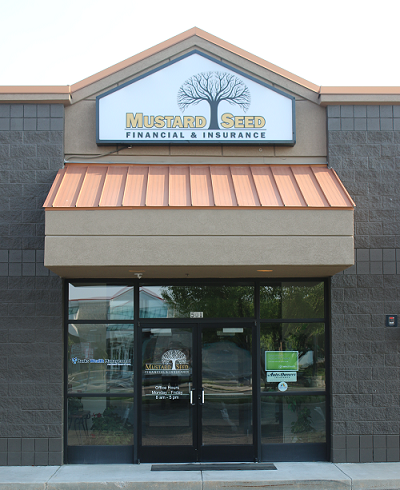 I've used Mustard Seed Insurance for years for all my family's insurance as well as my business insurance and couldn't be happier. Proudly serving Meridian, ID, Boise, ID, Nampa, ID, Twin Falls, ID, Caldwell, ID, and surrounding areas.